When you’re trying to save money, it’s hard to justify decor purchases for your home. 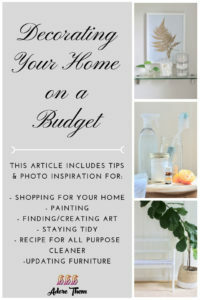 Here are tips on how to give your space a fresh look without breaking the budget…. Taking the time to have a genuine conversation with your child can be so much fun & so insightful! It also helps to build up a great family bond, which is why we are offering a few family conversation starters to go a long with each curated collection of content…. See below for details about their upcoming sales! 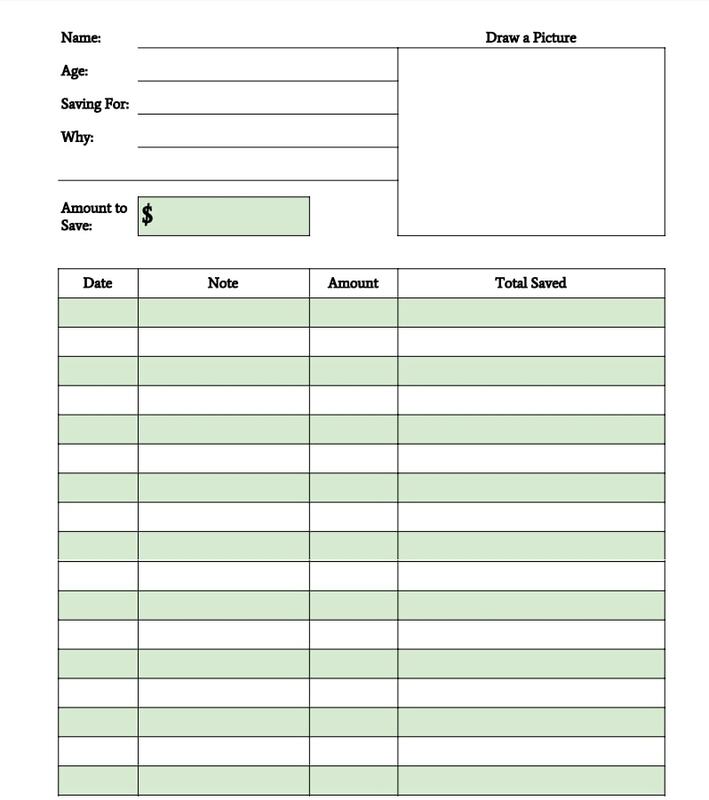 Everyone loves to save money! 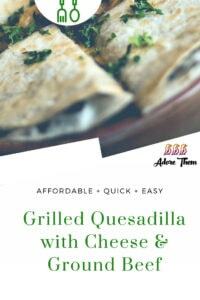 And finding delicious affordable recipes is a must! Here is a spin on a classic that won’t break the bank, and adds another level of protein in order to make this a fulfilling meal. Think about your kids and their interests. They’ve probably changed a lot throughout the years, but you’ve nurtured them as best you can. You’ve found classes for them to take and teachers that have encouraged them. You probably have enrolled them in camps or signed them up for leagues, especially if they’re interested in sports. And as they’ve gotten older, they’ve gotten better at all those things (or at least you hope they have! ), and you’ve realized that those extracurricular activities are important to their development and their future success. But what you’ve also realized about those additional pursuits is that they’re expensive, and the cost and the availability is increasing, too. And families are devoting more and more to those extras, too—up to 10 percent of their income for some families. So how do you pay for all them, and why should you? This graphic helps explain it. Shari quit her job in 2010 to stay home with her first son. Since then, she has been able to make money in a variety of ways while remaining a stay at home mom. Here are some of her ideas! 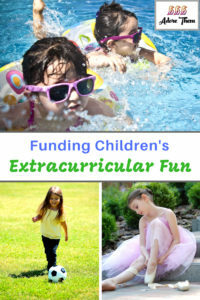 Resources from MoneySavingMom as mentioned in the video. 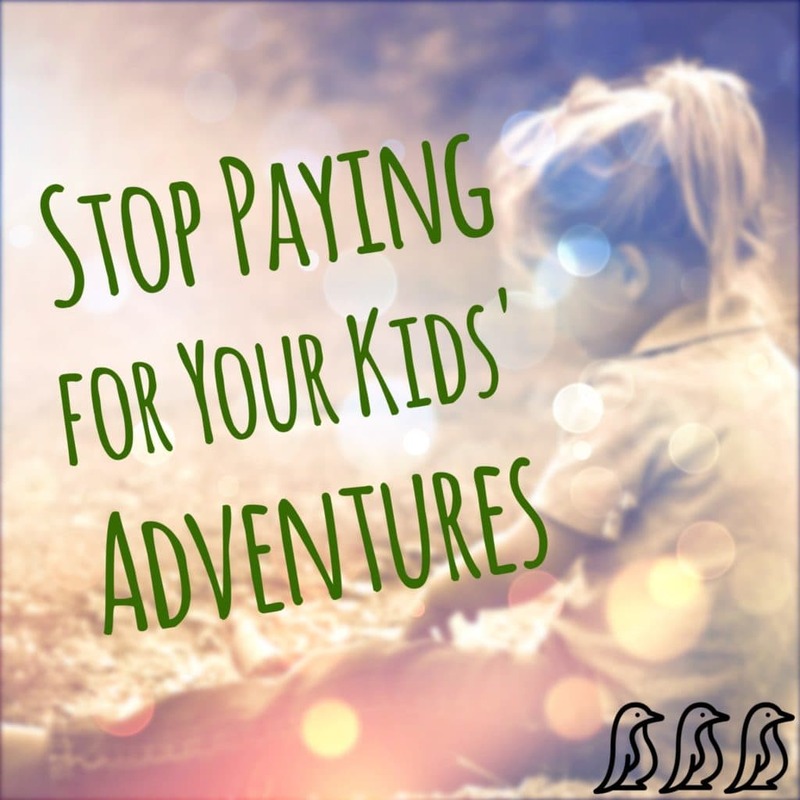 Paying for your kids’ adventures can be pricey. Is it necessary? Is it worth it? Is it breaking the bank? As children, some of us remember that we created our own adventures: pretend play, climbing trees, riding bikes around the neighborhood, popping into our friends’ houses or apartments. We spoke to people face-to-face, used our imagination, and weren’t overscheduled. * Are you working harder than you’d like just to keep up? * What are you compromising to do it? * List the benefits of providing all of this for your children. * What are the children missing out on? What would you like more of for your family? * What are your children learning about money, relationships and family? You might not be comfortable with the answers, but maybe it’s time to shake things up and get back to basics. As always, the choice is yours. Fern Weis is a Parent Coach and Family Recovery Coach. She helps parents of tweens, teens, and young adults who are going through difficult situations – from homework battles to addiction recovery – and all points in between. Fern works with parents to nurture the parent-child relationship, improve communication, and set firm and loving boundaries. Parents learn to confidently prepare their children to reach their potential and be successful through life’s challenges. Fern is regularly interviewed on Change Your Attitude…Change Your Life (WOR710 NYC), and is a contributor to Huffington Post and Ridgewood Moms. Again? He lost his backpack again? And he expects mom to buy him another one because… he’s cute, he has that plaintive little boy tone in his voice, because he exists? The fact is he’s going to get a new backpack because this is a commercial for a company that pays you a rebate for all your online purchases. Mom is getting rebates and has money to burn, sort of. This one line said all of that. Admittedly, it pushed my buttons because he said “again”. But let’s face it, it isn’t just about a backpack. It’s about attitudes, expectations, fears and values. It’s what I write about and what I teach. Let’s dive in. 1. Enabling (parents) – Whose problem is it when the child loses his backpack, again? His, of course. It’s time for mom to step back and let him experience the inconvenience of not having one. It’s also time to put some conditions on how he gets another one. 2. 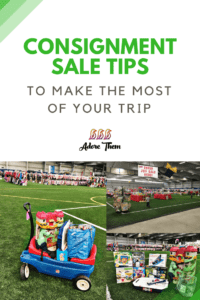 Taking responsibility for yourself and your possessions (kids) – (See #1) – Knowing that someone will replace a lost or damaged item means you never have to worry about taking care of it, or living without it. That doesn’t bode well for this child’s future. 3. Entitlement (kids) – It’s an attitude that says, “I am, therefore I deserve.” When you indulge that, you feed the attitude and starve the growth of your children. 4. Over-consumption (kids and parents) – As a society, we are accustomed to replacing things, whether it is warranted or not. Obsolescence, carelessness, or instant gratification, we do it. We also complain about finances, so there is a real disconnect here. 5. Inability to set and enforce limits (parents) – You know kids need limits because a) the experts and research tell us so and b) you see and experience what happens when there are no limits. It’s not pretty. So what keeps you from putting limits in place? See #6. 6. Fear of your kids’ reactions (parents) – Fear is the greatest motivator for, or hindrance to, doing what needs to be done. Perhaps you fear your child’s anger, a tantrum or explosion, or the dreaded “I hate you!” In other areas of your life you may be fearless, but feel vulnerable within your family. Tap into that courage and use it where it counts the most, with your children. Remember, “I hate you” is a strategic maneuver on their part, and, unpleasant as it is, you will both live through the tantrum. 7. The value of money and hard work (kids and parents) – You work hard for your money. Many of you remember working for what you had as kids, that things weren’t just handed to you. My parents provided what I needed. Sometimes what I wanted just wasn’t in the cards. So what’s different now? 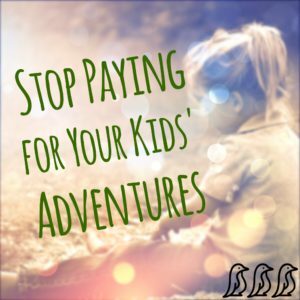 Is it really as simple as buying for your kids because you can afford it? You can’t guarantee their financial future, and they need to be prepared to make choices. Start preparing them now. 8. Making assumptions (kids and parents) – In this commercial, the son has assumed (understandably) that mom will replace the lost backpack. 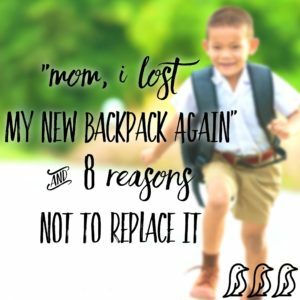 Mom has also made some assumptions: that this is normal and how it’s going to be, that her son is incapable of functioning without the backpack, that he’s not competent and that she has to jump in and fix it for him. On a personal note, I’ve been the fixer, too. My son set me straight: when I lowered expectations (or asked to have them lowered for him at one time), what he heard was that I didn’t believe he was capable of achieving on his own. Instead of building self-esteem, I contributed towards lowering it. Some of you know what I’m talking about. Please, spend some time with this idea. Do it for your kids. It’s only a commercial; however, if you look below the surface, it’s a ‘teachable moment.’ There are so many messages we unknowingly send our children. Some are inspiring; others not so much. What messages are you sending? Look at the list again. What resonates with you? Which one makes you uncomfortable? Pay special attention to the one that makes you uncomfortable. This is the one you most need to look at. Do it for your kids. I sign off on my messages with “Be well, be strong, be a courageous parent.” If you need some help with that, you know how to find me. 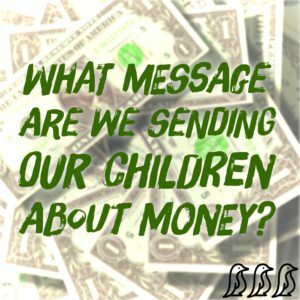 What Messages Are We Sending Our Children About Money? This article is written by Amy Collins, M.S Ed. Children need to learn at a young age how to have a healthy understanding and appreciation for money. 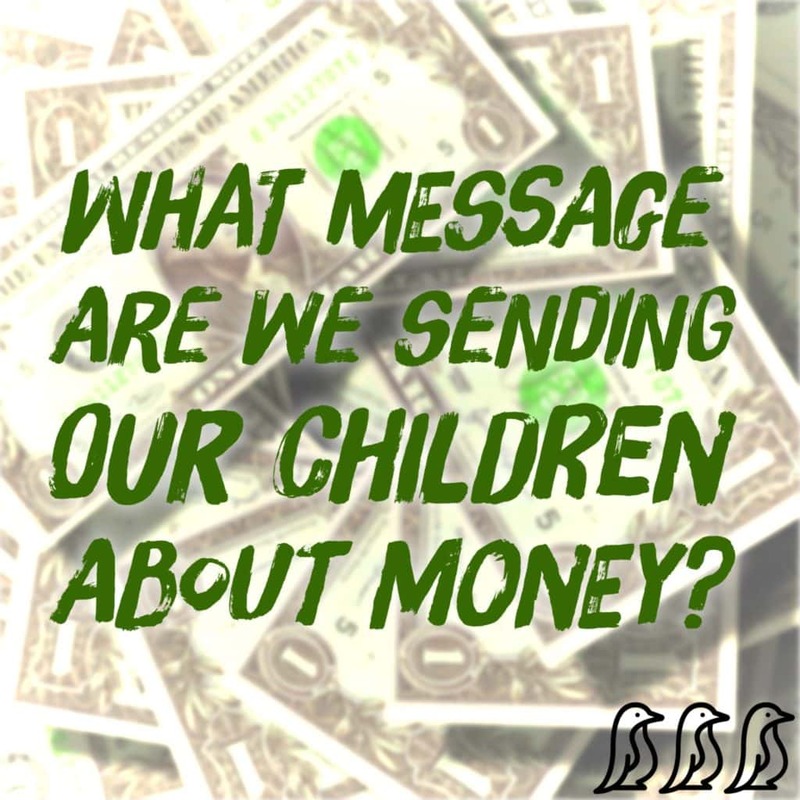 What messages are we sending our kids about our own relationship with money? Will our children’s observations help them develop a healthy, well-balanced, respect for money? Or is “money” a bad word that is only whispered in front of the children? How is our relationship with money affecting our children and why does it matter? As much as we may not want to admit it, having a healthy relationship with money is important to us and it will be just as important for our children. Their observations of us will undoubtedly affect how they earn, spend, save and donate money when they are older. It may even affect the career they pursue, the friends they hang out with and where they ultimately live. We need to be aware of what we’re teaching them and how our own actions influence them. First, let’s consider – How did your parents relate to money? How did their handling of money define your own relationship with it? What common phrases did they use regarding money; are they similar to the ones you use with your own children? Did you inherit that relationship? If so, does it work with you in your current life? Did you hear phases like, “money doesn’t grow on trees.” or “money is a means to an end”? So many of us were also guided by the famous line from Benjamin Franklin’s Poor Richard’s Almanack, “A penny saved is a penny earned.” My husband’s Mom always said, “It doesn’t matter what you make; it’s what you do with what you make.” That statement spoke volumes and has made a lasting impression on him. Take a moment and reflect on what phrases shaped your attitude towards money when you were a child and if that same attitude remains with you today, is it helpful? What phrases are your children learning from you? “Money” shouldn’t be a bad word, rather it ought to generate the same emotional reaction as the word “fire”: it should instill a sense of respect, healthy appreciation and the recognition that it is a necessity. 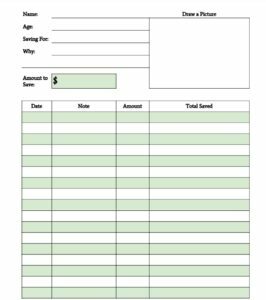 Are your children learning that money needs to be earned and not handed-out freely? Money and work ethic are inextricably linked. Is money a cause of stress or arguments in your life? If so, remember our children pick up on everything. Do your children understand the distinction between “needs” vs “wants”? Learning this difference at a young age is a valuable lesson. Once we recognize how we were influenced by money growing up, then we can better determine if that attitude was beneficial for us or if we need to develop a new one? What is most important is that we have a healthy relationship with money that works well for us throughout our life. After considering this reflection, think about how your children are interpreting your daily messages and actions about money. What are you saying and doing that is and will continue to influence them regarding how they earn, spend, save and donate their own money someday. The most effective way we can teach them is to live by example. 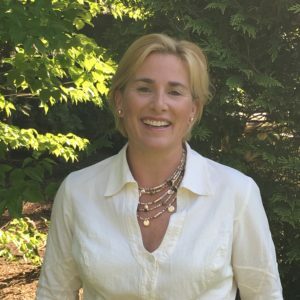 Featured Contributor: Amy Collins, M.S Ed. 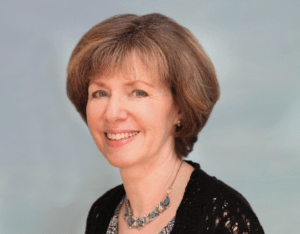 Amy Collins, founder of Create Clarity, offers workshops to help women clarify who they are, re-awaken their intuition and make a transformational shift to live a more vibrant life. Learning practical tools to become more mindful is empowering. Once learned, these tools last forever. Amy is a Mindful Living Instructor and a certified Creative Insight Journey Instructor.